I used to work in a highly regulated corporate environment – the company blocked access to gmail, basically every social media network, and any site with even remotely questionably content. In some ways I'm thankful… because it's amazing how much more productive you can be when you don't have access to social media all day. 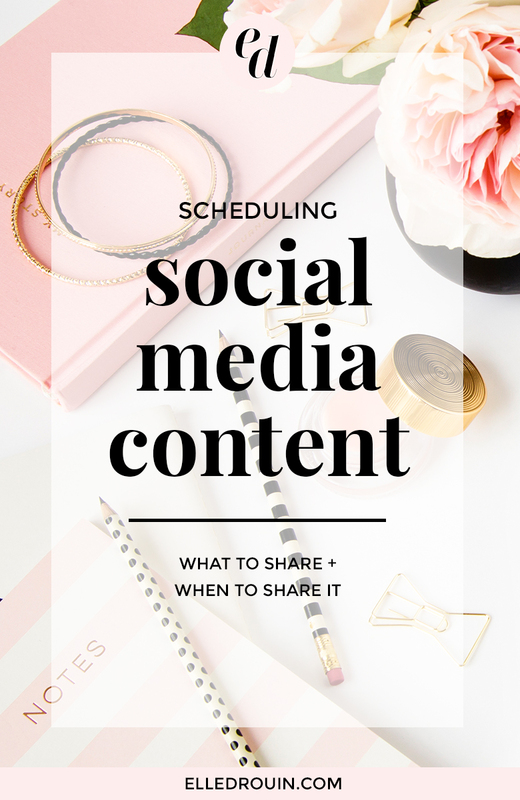 Though even now that I own my own business, like most people, I don't have time to post/ tweet/ share/ publish social media content throughout the day so scheduling social media is key! I'm the type of person that needs to schedule anything and everything if I actually want to get it done. My to do list (I love Asana) and various calendars (google calendar + WordPress editorial calendar), are the only way I can function. So once a month, I schedule time to schedule social media. Yes, that's right. I schedule time to schedule. Technically I scheduled time to write this blog post about scheduling time to schedule. Welcome to my type-A, workaholic life. I strongly believe you don't have to be active on every social network out there. Honestly, if you try, you are probably not using them all effectively. If you're posting for the sake of posting, you're wasting time. Quality above quantity, always. Your last post / photo/ tweet may be the first post / photo / tweet that someone sees when they come across one of your social media profiles. If it doesn't send the right message to your audience, don't post it. True story: a couple years ago I was interviewing potential assistants and googled one candidate. She had literally just tweeted about how much she hated working. Just no. To be honest I don't care what you ate for dinner. I don't care that you spent the weekend hiking with your friend from college. I definitely don't care that your baby threw up this morning. There is definitely someone that cares… it's just not me. That's why it's crazy important to know your audience. If you are a nutritionist, maybe your audience does care what you ate for dinner. If you're a fitness coach, your audience would probably love to see photos of you hiking. If you're a mommy blogger, you're audience can actually relate to your baby vomit. Focus on sharing targeted content that is either: 1) educational 2) inspirational 3) community building or 4) promotional. Educational content could be anything that teaches your audience something (duh). This is the best way to get people to TRUST you, because the more you give away your “secrets” – the more people will perceive you as an authority in your field! You don't have to an expert, in fact, many people relate better when they know someone has had similar problems. So try to fill in this sentence with things that relate to you and your audience: I used to struggle with _____, until I learned _____. For example, I used to struggle with time management, until I learned how to batch process photos or I used to struggle with getting my lipstick to last all day, until I learned to use a straw when I drink diet coke and buy all the Bite Beauty Matte Creme Lip Crayons (seriously, they are SO good). Spread the love and share what you know! Inspirational content is probably the easiest type of content to share, but it's not always useful. If you are a graphic designer who sells letterpress stationery, sharing photos of your beach vacation could be “inspirational,” but how does that really help your business? It would probably make more sense for your brand strategy to share a photo of a beautiful wedding or a styled desktop where people could actually envision your products in action. Your inspirational content should actually inspire your audience to DO something, not just be inspired for the sake of inspiration. Unless you are selling inspiration… but I'm pretty sure that's not a thing. Community building content is anything that encourages engagement and builds a relationship with your audience. Regardless of how many followers you have, engagement matters – because if you're not being social on social media then you're doing it wrong. Community building content could be asking for feedback on a new product idea or running a challenge / contest and incentivizing your followers to participate. Community building could also be sharing other people's content (with credit!) and promoting like-minded businesses that may appeal to your audience as well. Try a few different things and see how your audience responds. If you don't consistently monitor and track engagement levels, you have no way of knowing whether your social media strategies are working! Promotional content should not just be “buy this product!” or “shop our sale!” but if you're not taking advantage of your social networks to promote your own products / services, then you are seriously missing out on some (really affordable) marketing opportunities! Yes social media is for being social, but it's also a valuable tool you can leverage for sales. Your followers are following you for a reason, and if you are sharing the mostly a mix of educational, inspirational, and community building content, then integrating promotional content won't seem as icky. Give, give, give, then sell. The short answer is (again) know your audience. 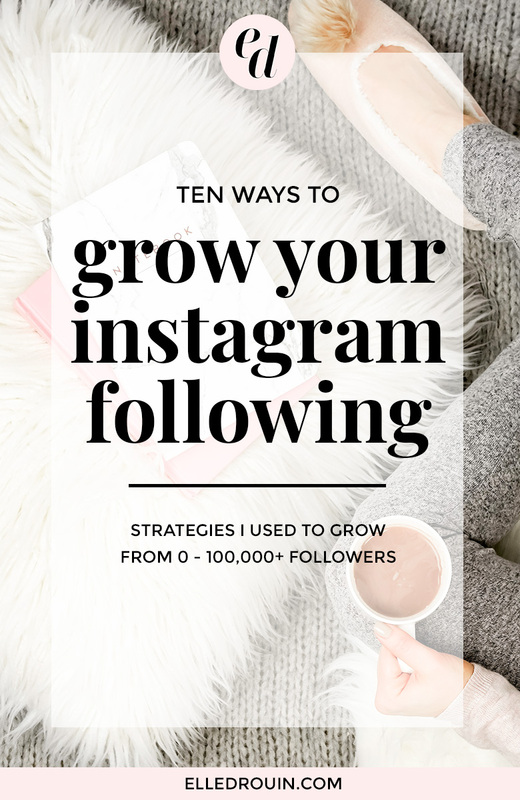 There are a ton of resources that will tell you when the “optimal” times to post on social media are, but it really comes down to who you are trying to reach. Experiment at first, and then let your analytics guide you. The best times to post on social media are the times when your target audience is active on social media – so the specific times are different for everyone! Also, just because I schedule most of my content, that doesn't mean I put social totally on autopilot. Because I schedule it, I have more time to actually engage on social – leave / reply to comments, find new people to connect with, etc. Unless you have all the time in the world, you probably want to spend less time managing social media and more time growing your business. So schedule time to schedule it. If you're already scheduling social media, I'd love to know what programs you've found to be most helpful! 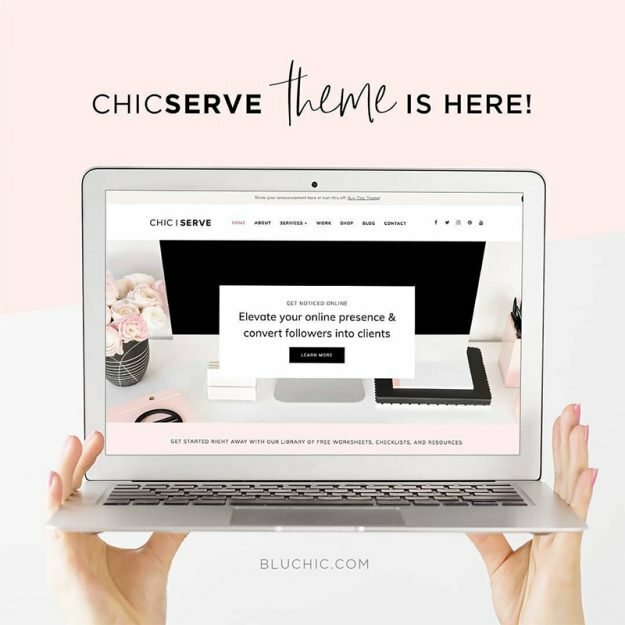 I currently run 3 completely different blogs in addition to creating content for my day job and other clients. I don't have time to waste. Since a lot of work can go into a blog post – from coming up with new ideas, research, photography, copy and not to mention all the social media scheduling to actually get people to SEE all the work that I did, it's incredibly important for me to streamline my blogging process as much as possible so that I have time to do everything else! 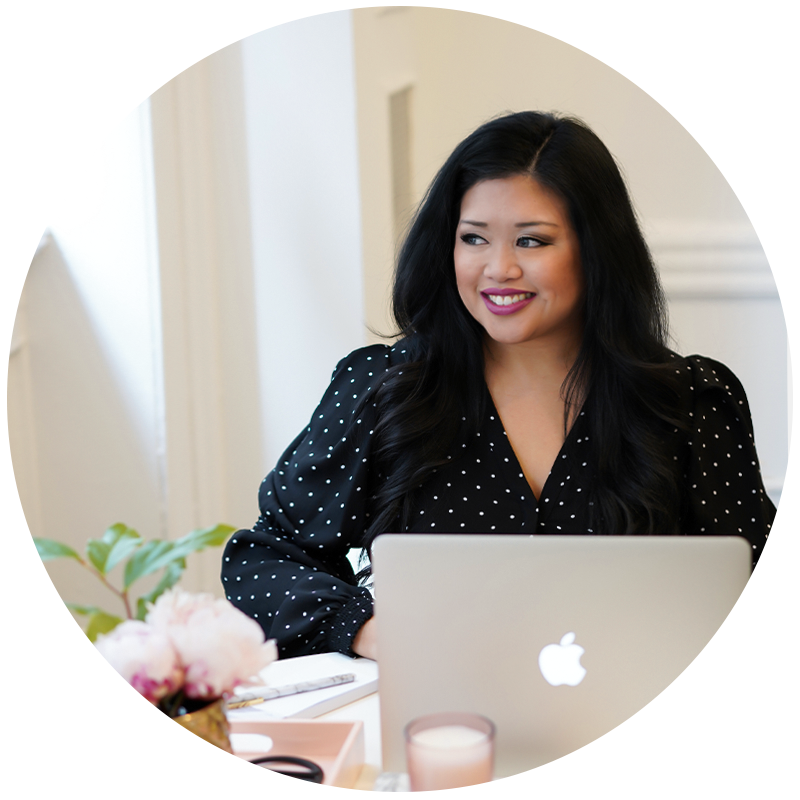 Maybe you don't run 3 different blogs, but I'm guessing you have other things going on in your life that you'd rather spend time on – like making money, making dinner, or making time for Real Housewives… Yeah, me too. Minus dinner because that's what Seamless is for. 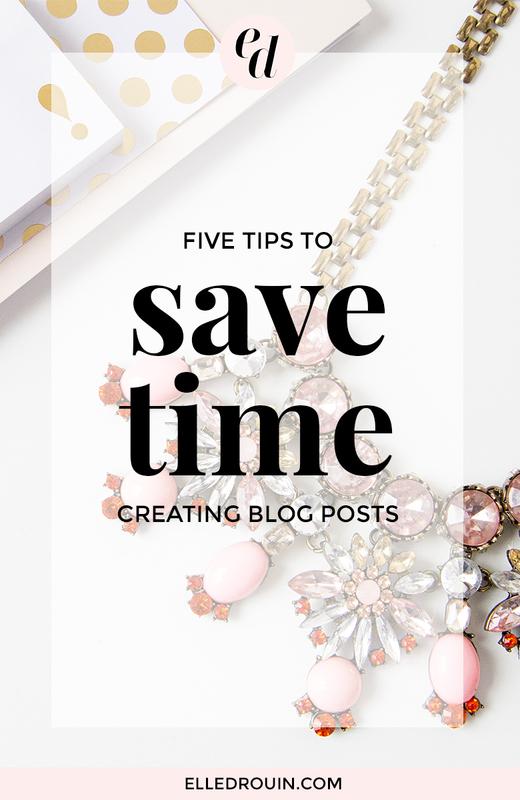 Make room for more of whatever YOU need in your life with these 5 tips to save time creating blog posts – #trust, they have helped me out immensely! Plan your posts. Whether you are using a planner, your google calendar, or another online calendar, plan your content out ahead of time! I've tried plugins like CoSchedule, but I always come back to the WordPress Editorial Calendar plugin – I love it because it's simple, but I can easily drag and drop post ideas into the calendar and move them around if I need to. It also allows me to see what drafts I have in process versus which posts are already done and scheduled. Any time I have a post idea, I'll start a quick draft with a few bullet points if I can. Then towards the end of each month, I sit down and try and schedule out as much as possible for the next month. I find that its usually harder to come up with post ideas when I'm under pressure of a deadline, so planning things out in advance makes things much easier. I also have templates for blog post graphics (like the one above!) so I can basically just swap out the image and the text when I'm creating a new post. Not only does this help save time, but it also ensures that my graphics are consistent with my brand! If there are certain topics you write about frequently, save time coming up with new blog post ideas by creating a series. If you're not sure what topic to create a series around – check your stats to determine which posts are getting the most traffic! Chances are a few of them have something in common. If not, do a little brainstorming. Maybe once a week you can feature your work or interview a client or ask your readers a question – there are so many possibilities. If you are a blogger, what other tips do you have for saving time creating blog posts?